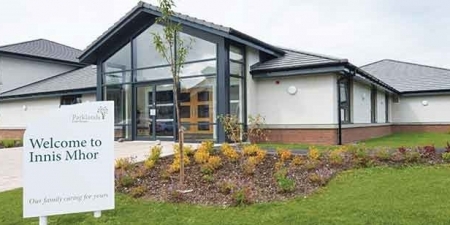 A new build 34 bed care home and day care centre for the elderly. It has impressive views over the Dornoch Firth. The centre comprises three 2 storey wings with 12 beds and ensuites per wing and all associated facilities. Hawthorne Boyle were responsible for the design and supervision of all mechanical and electrical services including all incoming utility services.